Lakes, Rivers, Hillstations and Backwaters. Tourist spots..Vembanad Lake, Kumarakom, Vagamon ..
Kottayam is a city in the Indian state of Kerala, spread over an area of 55.40 km2 and is the administrative capital of Kottayam district. 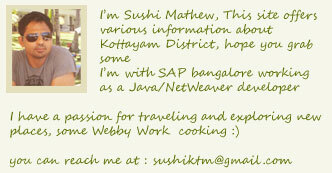 Kottayam is located in south-central Kerala and has a population of 172,878 according to the 2001 census. The city is approximately 150 km (93.2 mi) from the state capital, Thiruvananthapuram. 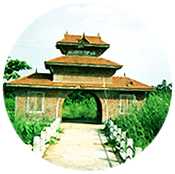 The city is an important trading center of spices and commercial crops, especially rubber. Major Kerala print media such as Malayala Manorama, Deepika and Mangalam are headquartered in the town. Also a pioneering center of modern education in Kerala, the city became India's first city to achieve 100% literacy in 1989 and the district became the first tobacco free district in India on September 28, 2008. The city of Kottayam is also known as Akshara Nagari (City of Alphabets) in honor of its contributions to print media and literature. Kottayam literally means the interior of a fort Kotta+Akam. Rulers of Munjanad and Thekkumkur had their head quarters at Thazhathangadi in the present Kottayam town. Marthanda Varma of Travancore attacked Thekkumkur and destroyed the palace and the Thaliyil fort. The remnants of palaces and forts are still seen here. The present Kottayam district was previously a part of the erstwhile princely state of Travancore. Earlier, the Travancore State consisted of two revenue divisions viz., the southern and northern divisions, under the administrative control of a 'Diwan Peshkar' for each. Later in 1868 two more divisions Quilon (Kollam) and Kottayam were constituted. The fifth division Devikulam came next but for a short period, which in course of time, was added to Kottayam. At the time of the integration of the State of Travancore and Cochin (Kochi) in 1949, these revenue divisions were renamed as districts and the Diwan Peshkars gave way to District Collectors, making the birth of the Kottayam District in July 1949. The beginning of the ninth Century A.D is the age of the Kula- sekharas. At that time, Kottayam was a part of the Vempolinad, which belonged to the Kulasekhara Empire (1090 - 1102 A.D.). The Vembanad lake itself derives its name from Vempolinad.The Kingdom of Vempolinad split itself into the Kingdom of Thekkumkur and Vadakkumkur by about 1100 A.D. and later these two kingdoms were annexed by Marthanda- Varma of Travancore between 1749 and1754. The Portuguese and the Dutch had their business relations with both Thekkumkur and Vadakkumkur Kingdoms, pepper and other spices being the main attractions. In addition to Thekkumkur and Vadakkumkur, Marthanda Varma brought two more small principalities in Kottayam under his control - Poonjar and Meenachil. After Marthanda Varma Dharma Raja (1758-1798) placed Kottayam in a key position in the new defence strategy against Haider Ali and Tippu Sultan of Mysore. Apart from this, Kottayam afforded asylum to a number of refugee princes who left Malabar in the wake of Mysore invasions. Kottayam occupied a predominant position in the cultural life of the Travancore princely court,the main reason being migration of Ramapurathu Warrier, the famous poet of Vadakkumkur to Thiruvananthapuram following the annexation of Kottayam by Marthanda Varma. Latitude 9o 15' and 10o 21' || longitude 76o 22' and 77o 25'. Skirting the Kottayam district are beautiful valleys of Ilaveezhapoonchira, spread over thousands of acres. Ilaveezhapoonchira means valley where leaves don't fall and is named so because the place has no trees. This beautiful picnic spot is located in the midst of beautiful hillocks near Kanjar. The verdant landscape is surrounded by three gigantic hills, each rising to around 3200 feet, and is an ideal place for trekking. During monsoons, when the valley fills up to form a scenic lake, this place unveils yet another beautiful slice of nature. This is also one of the best places in Kerala to enjoy both sunrise and sunset. 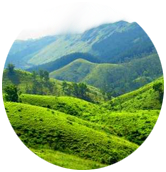 The enchanting hill station of Vagamon is situated on the Idukki-Kottayam border. 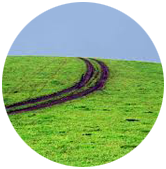 This hill station is dotted with tea garden and meadows and soon will be one of the India's first ecotourism project. The breeding centre of the Kerala livestock Board is located here. 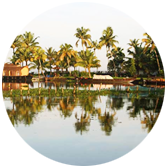 The vast network of rivers and canals of Kottayam empty into the great expanse of water called the Vembanad Lake. The Vembanad Lake is situated about 16 kms. from Kottayam town in Kumarakom. This enchanting lake has emerged as a prime picnic spot and a famous backwater tourist destination. This place provides boating, fishing and sightseeing experiences that are truly exhilarating. The serene lake comes alive during Onam with the spectacular snake boat races. It is very amazing to watch hundred of oarsmen in one boat, slicing their way through the waters to the fast rhythm of their own full throated singing. 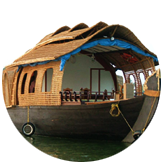 The Kumarakom Tourist Village provides houseboats cruises. According to mythology, a young Brahmin dived into the Vembanad Lake to perform his evening ablutions and the water made way for land to rise from below, thus the enchanting island of Pathiramanal (sands of midnight) was created. This little island on the backwaters is a favourite place for hundreds of rare migratory birds from different parts of the world. 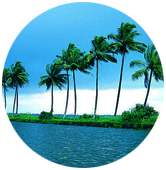 The island lies between Thaneermukkom and Kumarakom, and is accessible only by boat. Kottayam is a beautiful Kerala backwater destination. This historic town is also famous for many churches and temples and for its role in the history of Kerala. The beautiful Vembanad Lake and its associated backwaters border Kottayam district on the West. 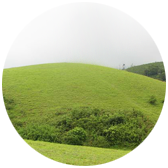 The various hill stations in Kottayam are Ilaveezhapoonchira, Mankallu Mudikal, Illickal Mala, Illickal Kallu, Kannadipara, Vazhikkadavu and Vagamon. 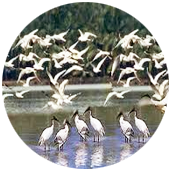 Located on the banks of the Vembanad Lake, the bird sanctuary is spread across 14 acres. The Kumarakom Bird Sanctuary, an ornithologist's paradise is a favourite haunt of migratory birds like the siberian stork, egret, darter, heron and teal.. A visit to the bird sanctuary, set within the lush acres of wooded land nearby, acquaints you to the variety of migratory birds that flock in thousands, some from the Himalayas, some even from as far as Siberia. In addition, you can get thrilled of the native kingfishers ablaze in psychedelic colours, experience a walk under rookeries of egrets and night herons or lone golden-backed woodpeckers and even delight in the acrobatics of the paradise fly-catchers..
and commercial crops, especially rubber.